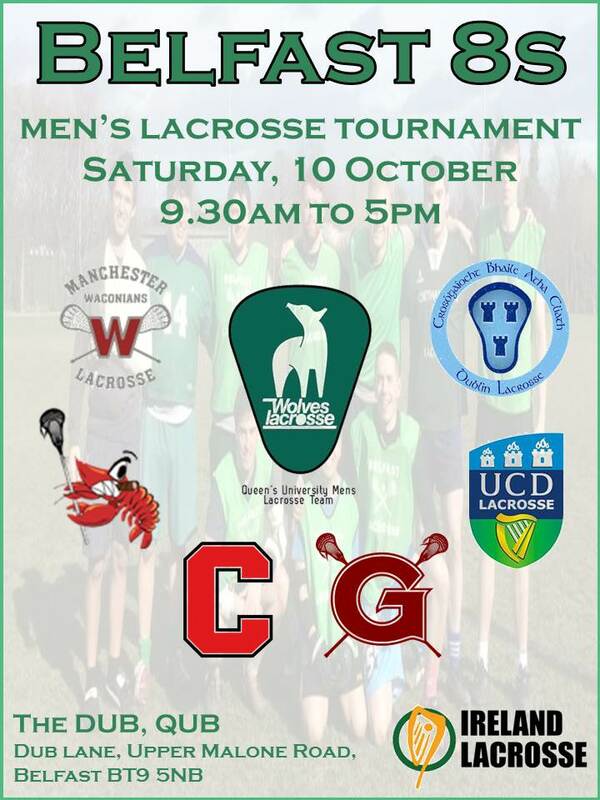 The Queen’s University Belfast (QUB) team is hosting a pre-season Men’s 8s Tournament at The Dub, Dub Lane, Upper Malone Road, Belfast on Saturday, 10 October 2015 from 9.30am-5pm. Notification has been sent to all men’s club team captains together with a facebook event invite. All are welcome! Social events and awards being planned for afters!